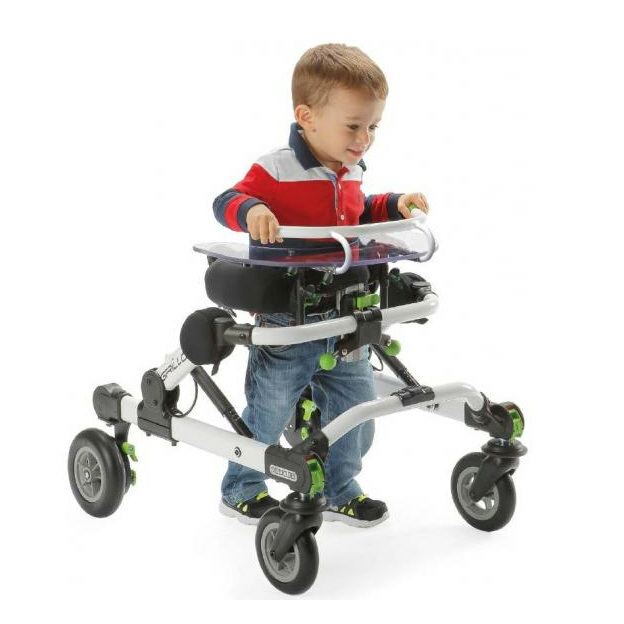 Ormesa grillo mini gait trainer with table - size 0, super complete features quick adjustment in which client can easily growth, transport and do any multiple use without any tool. 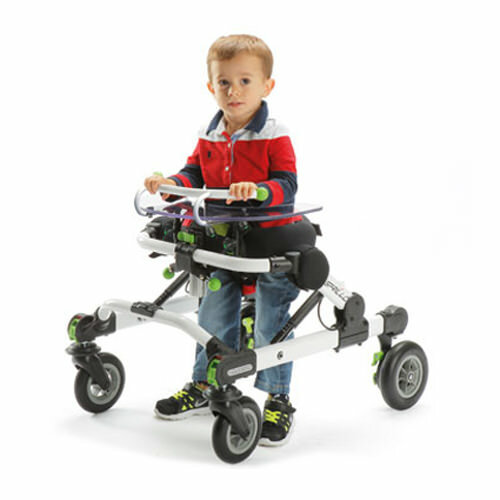 Grillo anterior gait trainer is ideal for children who can bear weight through their legs, but need assistance with balance and reciprocal leg motions. 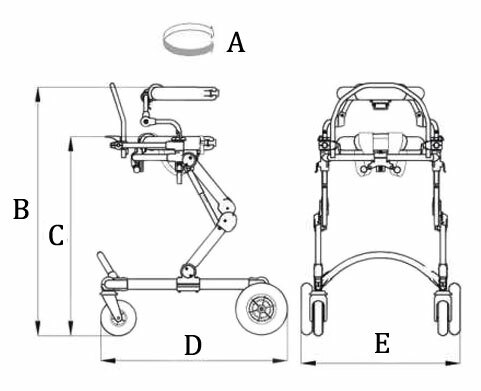 Grillo gait trainer has the widest range of height adjustment for the client and caregiver on the market. Support circumference (A) 20.8" - 31"
Chest support (B) 21.2" - 30.7"